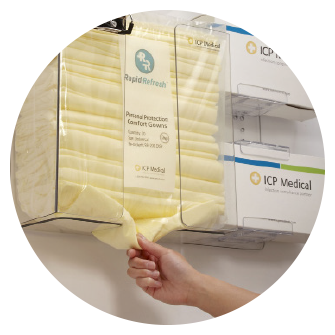 ICP Medical is a leading manufacturer of healthcare solutions from the front door to the patient zone™. Centered primarily around infection control and prevention, we serve hospitals and medical facilities throughout the United States and the world. Studies show that hospital privacy curtains are frequently and rapidly contaminated with potentially pathogenic bacteria. In fact, patients admitted to rooms previously occupied by patients with hospital pathogens have a substantially greater risk of acquiring the same pathogen than patients not occupying such rooms. 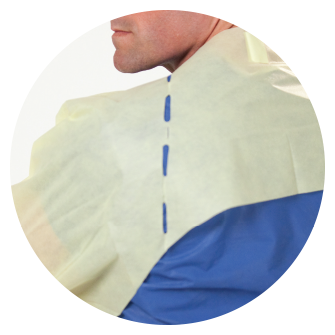 Case Study: ICP develops a gown that is both safe AND comfortable. 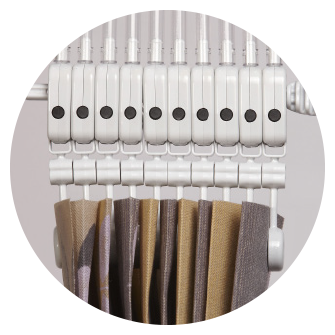 When their current gown suppliers were unwilling to create a standardized isolation gown, and no other acceptable products were found, this hospital turned to ICP for a customized solution.